A brilliantly funny original short story from Booker Prize winning author Penelope Lively. Paul and his girlfriend are artists in need of subject matter. Arresting, evocative subject matter. So they decide to go Abroad, as much as possible, for as long as possible. Because Abroad is full of well furnished scenery. Particularly peasants. Real, earthy, traditional peasants. Except you shouldn't really call them peasants should you? 'Country people'. Abroad is full of country people. 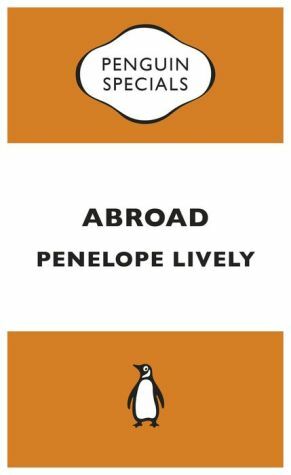 In this funny, deftly written short story, Penelope Lively satirises an arty student of the 50s, a precursor of the gap year traveller, who hasn't learnt as much from her time Abroad as she likes to think . . .
Penelope Lively is the author of many prize-winning novels and short-story collections for both adults and children. She has twice been shortlisted for the Booker Prize: once in 1977 for her first novel, The Road to Lichfield, and again in 1984 for According to Mark. She later won the 1987 Booker Prize for her highly acclaimed novel Moon Tiger. Her other books include Going Back; Judgement Day; Next to Nature, Art; Perfect Happiness; Passing On; City of the Mind; Cleopatra's Sister; Heat Wave; Beyond the Blue Mountains, a collection of short stories; Oleander, Jacaranda, a memoir of her childhood days in Egypt; Spiderweb; her autobiographical work, A House Unlocked; The Photograph; Making It Up; Consequences; Family Album, which was shortlisted for the 2009 Costa Novel Award, and How It All Began. She is a popular writer for children and has won both the Carnegie Medal and the Whitbread Award. She was appointed CBE in the 2001 New Year's Honours List, and DBE in 2012. Penelope Lively lives in London.